On an average day, roughly half a million hours of video are uploaded to YouTube. As with any user-generated content site, this also includes pirated works, including full-length films. This is not a new problem and YouTube does its best to remove infringing videos and accounts when they’re reported. However, Dutch film production company ‘Farmhouse TV & Film says that it’s not enough. The company produced the film “Redbad” which premiered locally this summer. With one of the largest ever budgets for a Dutch film, it didn’t provide the success the makers had hoped for. During the first month, it recouped less than €400,000 of the €8 million budget, making it one of the biggest flops in Dutch theaters. While the film failed to draw the masses to the big screen, it did much better on YouTube. According to Farmhouse TV & Film, a full copy of the movie reached half a million views after it was uploaded. The only problem is that this copy wasn’t authorized. The production company isn’t happy with this unlicensed consumption and is now demanding €200,000 in compensation. 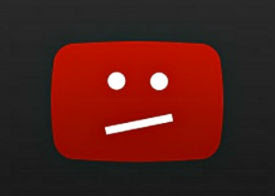 Producer Klaas de Jong states that YouTube should take responsibility, noting that the pirated copy was displaying advertisements as well. “This way, YouTube has created a revenue model out of the illegal distribution of content,” De Jong says, quoted by Nu.nl. “Enough is enough. We’re talking about an illegal and criminal offense, and YouTube is not taking responsibility,” he adds. YouTube hasn’t commented on this individual case. However, the company explains that rightsholders can ask the video platform to take an infringing copy offline. This is what happened with the pirated copy of Redbad. The producer believes that this is irrelevant. The harm was already done when they spotted the copy and the takedown system has its limitations, especially when infringing content swiftly reappears. “This leads to a situation in which we as producers have to check for illegal links to our films on YouTube every week and beg to have them removed, after which they immediately reappear through another channel,” De Jong says. Tim Kuik, director of the local anti-piracy outfit BREIN which isn’t involved in the matter, says that it’s the first time a Dutch producer takes this step. Kuik also notes that the availability of pirated films on YouTube is a known problem. In the present matter, it’s unlikely that Farmhouse TV & Film will get anything from YouTube without going to court. Previously, Austrian television channel Puls 4 did just that, with success. This summer a court in Vienna concluded that YouTube can indeed be held directly liable for users’ copyright infringements. The video service is not a neutral intermediary and should do more to prevent infringing uploads, the court ruled. The verdict in question is not yet final. Ideally, Farmhouse TV & Film and other rightsholders would like YouTube to start filtering all content proactively. That sounds a lot like the EU’s Article 13 proposal, which YouTube is currently campaigning against. No further details were given but, reportedly, YouTube took offense to the general theme which showed how Redbad and Vikings fought against the Christians who forced their faith upon the people. The trailers were never removed though.